Giving time is an act of generosity – and one that can be done even by those that lack financial resources. This article explores the act of giving time, how it fits into philanthropy, and the importance of sound project management to the process. It is important to note that giving volunteer time, while critically important, is only a part of the process of a philanthropic venture. By itself it requires well-considered systems for management and nurturing at the local community level and beyond. As this series progresses, we will explore higher and higher levels of management sophistication – and effectiveness at achieving noble philanthropic objectives. 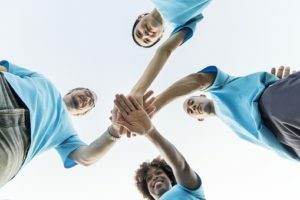 This is the second part of a series of four articles on “Philanthropy and Project Management", where we explore the intersection of these two fields and how strong project and program management is so critical to philanthropic initiatives. This article, Part 2 in the series, “Philanthropy and Project Management: Giving Time", looks at the management challenges related to giving time. Part 1, “Philanthropy and Project Management: Giving Money", looks at the management challenges related to giving money. Part 3 “Philanthropy and Project Management: Charity", focuses on the bigger picture of purposefulness but with a strictly tactical approach. Finally, Part 4, “Philanthropy and Project Management: Program Management", dives into purpose AND strategy in advanced philanthropic efforts. Giving time for a charitable cause is an admirable and fulfilling thing to do. But switching roles and rallying volunteers to do the work for a good cause is yet another challenge. The starting point for a volunteer recruiting effort is to ask: what is someone’s precious time to be used for? This is the ultimate purpose for the charitable project. The better the answer is to this question – the more deeply you can articulate a purpose that the volunteer can identify with – the better foundation you will have for your volunteer recruitment efforts. People today – especially millennials – are enthusiastic about giving their time but are looking for a purpose and special experience as part of their giving. Think of the volunteer recruitment effort in part as a sort of marketing project. You are marketing the opportunity for volunteers to give time to help people, advance a cause, and do good things – and to interact with like-minded people in a meaningful way. Objective: how much volunteer time and resources is needed and when? Finding volunteers: what is the target group of volunteers, how can you reach them, and what is the compelling message to them? Publicity: what awareness communications can you deploy as part of your community outreach? Resources required: what efforts, up-front money, facilities, and even personnel will be needed to coordinate the recruitment effort? f. Have the volunteers do the work! 8. Risks: what might go wrong, what are the contingencies, what can you do now to reduce the chances of bad things happening and increase the chances of good things happening? Getting people to volunteer is a challenging but rewarding task. Strong project management can help to improve the odds of success and enhance the results. Can you identify a volunteer recruiting effort that could benefit from the addition of professional project management practices?